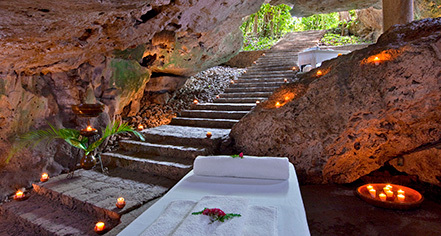 Hacienda Temozon, A Luxury Collection Hotel, offers ancient Mayan healing practices. 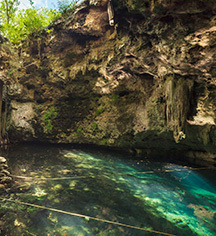 The Haciendas, together with the Fundacion Haciendas del Mundo Maya, work in partnership to restore the art of ancient Mayan healing practices. Experts in traditional Mayan therapeutic massages train and pass on these ancient practices to new therapists. And as a result of this collaboration, the Haciendas exclusively use the Hol-Be Spa, where these Mayan traditions are honored and celebrated. All spa products are created with natural ingredients, using ancient methods to offer a truly indigenous yet blissfully luxurious experience. Indulge in the 100% organic facials, exfoliating products, and local wraps. Among the many traditional massages and treatments offered at the spa, the exclusive Yin & Yang treatment is one of the most popular. Its purpose is to balance the guest’s energy in various parts of the body, applying Traeger, Mayan, and traditional techniques. Another signature service is the “Sobada Maya.” This particular massage, found at Temozon’s spa, is performed by a skilled masseuse who studied this ancient art form from over 150 years ago. The Sobada Maya is a healing massage for both men and women and is an extraordinary procedure that should only be performed by therapists skilled in this style.